No iPhone 5 For T-Mobile? The iPhone 5 isn’t coming to T-Mobile any time soon, according to an internal document leaked by TmoNews. The document is composed of quotes from T-Mobile Chief Marketing Officer (CMO) Cole Brodman during a September 15th speech. “We are not going to get the iPhone 5 this year,” the executive told listeners. 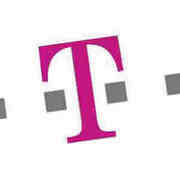 T-Mobile plans to launch two new smartphones that “should spark consumer interest ahead of the holiday season” over the iPhone 5. Apple has yet to announce the iPhone 5, although rumors point to an announcement of the next generation handset in the next several weeks. Sprint is rumored to be included in the launch of the Apple handset alongside Verizon and AT&T.